Cold climate mixologists sound off on the best way to make martinis for these icy, slushy, brutally cold days. Hunt + Alpine Gibson: Pour 2 ounces Tanqueray Old Tom Gin and ¾ ounce Noilly Pratt Dry Vermouth into a chilled tumbler. Add one large (2" x 2") ice cube. Stir 40-50 times. Twist a wide orange peel over the drink to release the oils and then make a orange/cocktail onion flag on a toothpick with the peel and cocktail onions. “Colder is better,” says Xavier Herit from bar Wallflower. 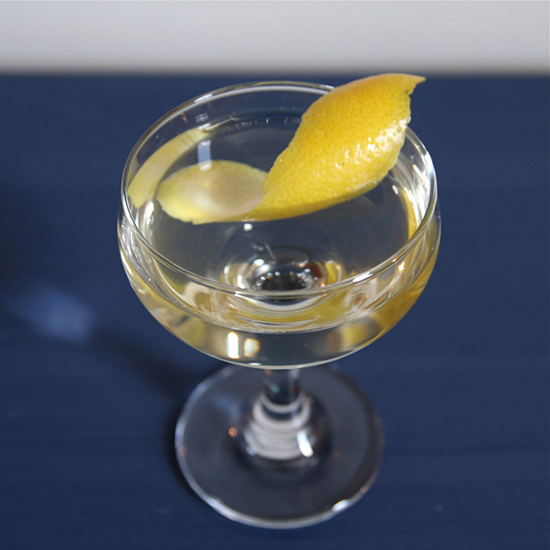 Herit sticks to the classic recipe, with a few abolutes: 2 and ½ ounces of a good London Dry-style gin (like Citadelle from his native France), ½ ounce Dolin Dry Vermouth, stirred not shaken (so it’s not too dilute), and served up in a coupe. “But most importantly,” he says, “you have to have a good garnish.” He loves pitted green Castelvetrano olives from Sicily. Adam Bernbach from 2 Birds 1 Stone changes up the gin he uses for martinis in colder months. “I opt for the slightly fuller Ginavit from Green Hat [a D.C. distillery],” he says. “I find it has a coriander note that's great for winter citrus so I go a bit heavier on the orange, with a couple of dashes of Bitter Truth Orange bitters and an orange twist to play that up.